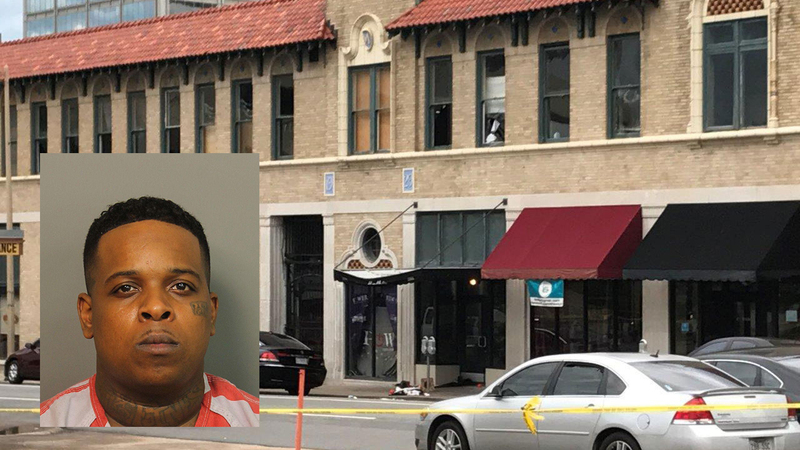 LITTLE ROCK, Arkansas -- Rapper Finese 2Tymes was arrested in Alabama early Sunday, a day after a shooting at one of his concerts in Little Rock left 28 people injured, the U.S. Marshal Service said. Ricky Hampton of Memphis, Tennessee, also known as Finese2Tymes, was arrested early Sunday, according to an inmate roster at an Alabama jail. The U.S. Marshal Service said Hampton and another man were arrested at the Side Effects Club in Birmingham, where he was performing. The Marshal Service says the men were arrested on a "fugitive from justice" warrant. It's not yet clear whether the arrests were related to the shooting. Little Rock's police chief previously had said Hampton had outstanding charges in Arkansas. Twenty-five people between the ages of 16 and 35 suffered gunshot wounds, and three others were hurt, following the shooting at the Power Ultra Lounge early Saturday. City officials intend to shut down the club. State regulators suspended the club's liquor license Saturday and its landlord later posted an eviction notice. The volley of gunfire inside the Power Ultra Lounge early Saturday came so fast that investigators believe multiple people had to have been involved. Police Chief Kenton Buckner credited quick work by first responders for there being no fatalities. City officials said they would move Monday to shut down the club under a "criminal abatement" program. State regulators suspended the club's liquor license earlier Saturday. On Saturday night, a representative for the landlord's office posted an eviction notice on a door to the club. The notice stated that the club must move out of the property within three days "due to your failure to maintain the premises in a safe condition." Mayor Mark Stodola said the city must "keep guns out of the hands of the wrong people" and suggested that people refuse to patronize clubs that seem to promote violence. Material advertising the concert by Tennessee rapper Finese 2Tymes showed a man pointing a gun at a camera.